MaxxTricky: New Features in Windows 8.1 : What makes it better ! New Features in Windows 8.1 : What makes it better ! Microsoft has launched the new Windows 8.1. In this update to the already existing Windows 8 operating system, a many new features has been included. These features will improve the tablet/ PC experience of the users. After the previous version of this OS was released in August, 2012, it faced a lot of praises as well as criticism from the users. It is believed that this has lead to this latest update. And finally there is good news for the Windows 8 users. They will get this new update for free. This OS is very easy to install as well as to use. But will it be any better than the original Windows 8? May be it is too soon to comment on that. So, below are some of the New Features in Windows 8.1 which are introduced. Start button: It has been in the news that the Start button is going to come back with this update. But the truth is that it is not exactly the start button like in the case of Windows Vista/ XP/ 7 or others, rather it is a simple icon at the lower left of the display screen of your device. By simply clicking/ tapping on this button, you can zip back to the Windows 8 which uses tile user interface. Apart from this, the traditional right click options are still there as usual. Universal search: One of the major drawbacks of Windows 8 was that while searching for documents/files, the users had to specify exactly where they wanted to search i.e. folders, apps, files or settings. But in the new Windows 8.1, there is the facility to carry out universal search. This means that all you need to do is type what you want to search and all folders and files will be searched automatically. Apart from this, there is smart search which will make suggestions without the need to search an entire word or phrase. Boot to desktop: For people without a PC, laptop or tablet, the tiled user interface of Windows 8 was not convenient to use on their computer systems. 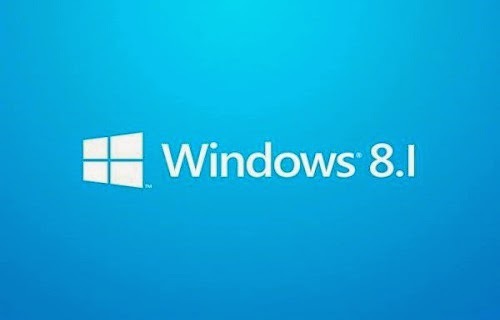 Due to this reason, the Windows 8.1 OS comes with an option during the time of booting using which bypass the tiled user interface and can get it opened on the desktop. Under the task and navigation properties menu, there is a box that you need to tick. Click on the box next to the “Go to the desktop instead of start when I sign in” and you will be redirected to the desktop automatically. In case you want to change this setting, you need to un-tick this box. Find apps using the apps bar: Windows 8.1 comes with an app bar and you can use it by right clicking on the app screen with mouse or by swiping the bottom of screen upwards. This will open the list of apps and their functions. You can also pin these apps onto the taskbar. Find libraries and charm: With Windows 7 came the library which showed all your contents and made them easy to access. Now, Windows 8.1 doesn’t show this folder and you need to click on View menu in order to access it. Another feature is the Charms. You can easily find it on the right side of the screen. Alarm: You can set alarm by clicking on the start screen. Customize the lock up screen using photos: While Windows 8 allowed you to set specific photos on the lock screen but Windows 8.1 allows you to set a whole series of pictures onto the lock screen as well. Quick shutdown: Shutting down the system is the same in Windows 8.1 as that was in the previous versions but there are some new features here. This helps you in logging out of your account or shutting down your system without using the settings charm. While these are few of the features in this Windows update, there are still number of features to be explored.